On this morning’s show, Ripa talked about her son, Joaquin, who just started high school and who has dyslexia, something Ripa has been open about in the past. “A lot of you that watch the show know he has dyslexia, so school has always been a very big challenge for us in our household,” Ripa said. Then, she went on to explain how she “broke down crying” at a recent parent-teacher conference when she learned 14-year-old Joaquin is currently getting straight A’s in school. 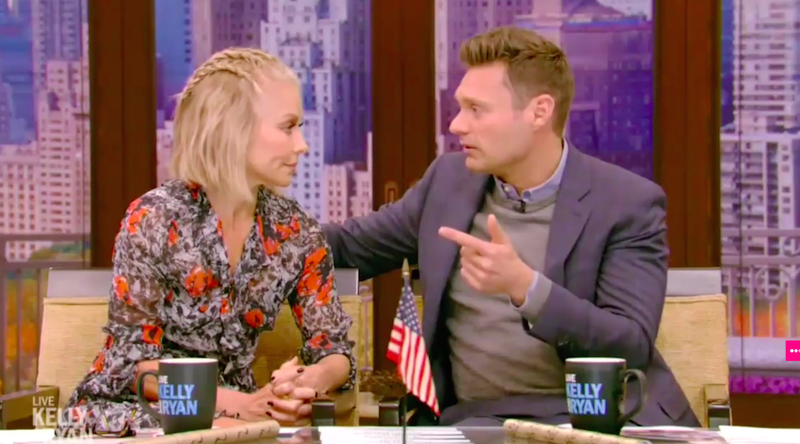 Ripa wasn’t even the only person to get emotional recounting that story. When she started tearing up, so did her co-host, Ryan Seacrest. In a sweet, emotional moment, he told her about how much he admires and looks up to her. Ripa spent months searching for the perfect co-host following Michael Strahan’s sudden departure from Live, and we think this just proves she truly found it in Seacrest. What a sweet moment, and what a great partnership they have.